The mayor and city manager in Crystal City, Texas, were convicted of demanding bribes from contractors in a pay for play scheme leaving the City in arrears. Federal authorities have arrested 24 members of a Los Zetas-tied drug trafficking group that operated on the Texas side of the border moving large quantities of narcotics and cash. 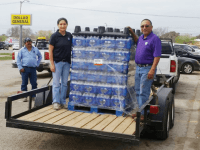 The problems of the scandal-ridden town of Crystal City, Texas, were magnified on Wednesday and Thursday as the tap water was running black, brown, muddy, dirty and rusty. The mayor and all but one city council member are currently facing federal corruption charges. 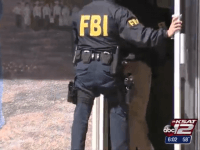 Following FBI raid that shut down the city hall in Crystal City last week, as reported in Breitbart Texas, one member of City Council has resigned. Three other city leaders are now facing a recall election.